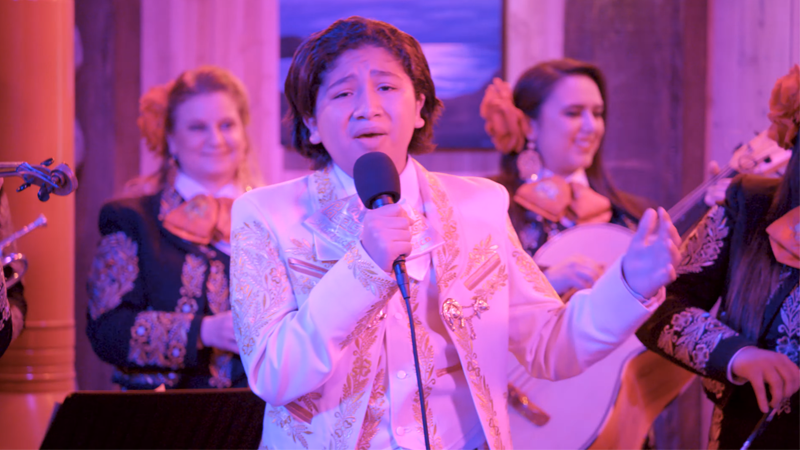 If you ever need a reminder of the inexorable march of time itself, here is not the realization that Anthony Gonzalez, the star of Pixar’s Coco, is just 12 years old, but his singing voice is just as fantastic in the land of the living as it is in the film’s land of the dead. Gonzalez made a special appearance on Good Mythical Morning today, to talk Coco, serve cocoa (you see what they did there), and, to keep the rhyming going, sing “Un Poco Loco,” the song Miguel and Hector perform for the crowds in the land of the dead. Bonus points for the outfit, too. Not Bad for a Dead Guy, Huh?